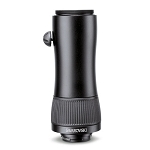 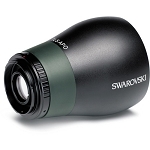 The Stay-On-Case from Swarovski is a custom-fit protective cover for ATS-65, ATS-65 HD, and ATM-65 HD spotting scopes. 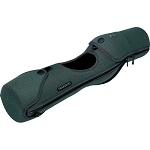 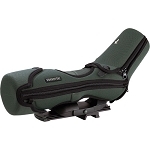 This 3-piece protective case comes with separate modules for the scope housing, and detachable covers for the objective lens and eyepiece. The durable, moisture-resistant Cordura nylon exterior matches the green and black color of the scope, and it has interior padding for additional protection. 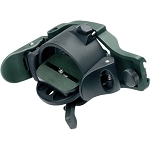 Snap fasteners and a zipper running the length of the housing provide access to the scope's twist-up eyecup, zoom/focus controls, and tripod mount.